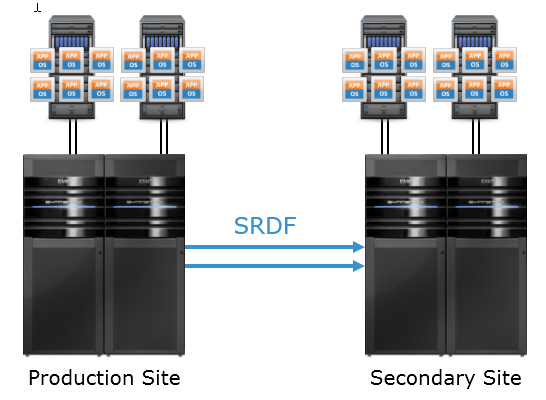 As a review, the SRDF SRA version 5.1 is supported with VMware Site Recovery Manager 5.0 and 5.1 (SRDF SRA 5.5 is supported with SRM 5.1 and 5.5). When an administrator has not pre-created their consistency groups on the protected and recovery site Solutions Enabler servers and then initiates a failover or a test failover the SRA will notice their absence and create them itself. It used to use a naming convention with the time and date preceded by dg_. This release adds more details to the naming convention to include milliseconds and the process ID of the SRA that created it. This will be able to tell you what and exactly when the group was created. That being said, I always insist that customers ALWAYS pre-create their consistency groups. There are a variety of reasons for this and mainly doing so helps make sure you have created the protection groups correctly. Without the consistency groups it can be harder to tell you did it right and you may not find out until a test of recovery. The new advanced option IgnoreDisconnectedStar has been introduced in these releases. For environments that don’t use SRDF/Star this will not affect them in any way. But for those that do–listen up! Prior to this release during a discovery operation, if a Star configuration was found that had at least one leg in the disconnected state, the SRA would automatically connect, protect and enable that entire Star configuration–whether it was intended for SRM protection or not. Any other configuration that didn’t have a leg in the disconnected state though would be skipped (protected, enabled, isolated, tripped etc.). This new option (disabled by default) will prevent this behavior when enabled. If you enable IgnoreDisconnectedStar (do it on both SRAs) it will no longer attempt these operations during discovery. This is important as many times there is a good reason that Star is disconnected and administrators may not want it reconnected by the SRA prematurely. So I recommend anyone with Star environments that use SRM to upgrade to this build and enable this new option. You can find the download and release notes on support.emc.com or zipped together to download on VMware’s SRM download page. 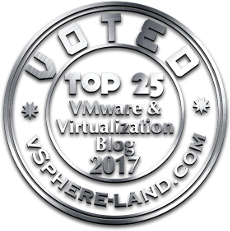 I have verified it is updated on VMware’s site, but it is not yet posted on support.emc.com but will be soon. A service release for SRDF SRA 5.5 is also forthcoming with an additional few changes (including these ones). Look to my blog for the release of that.